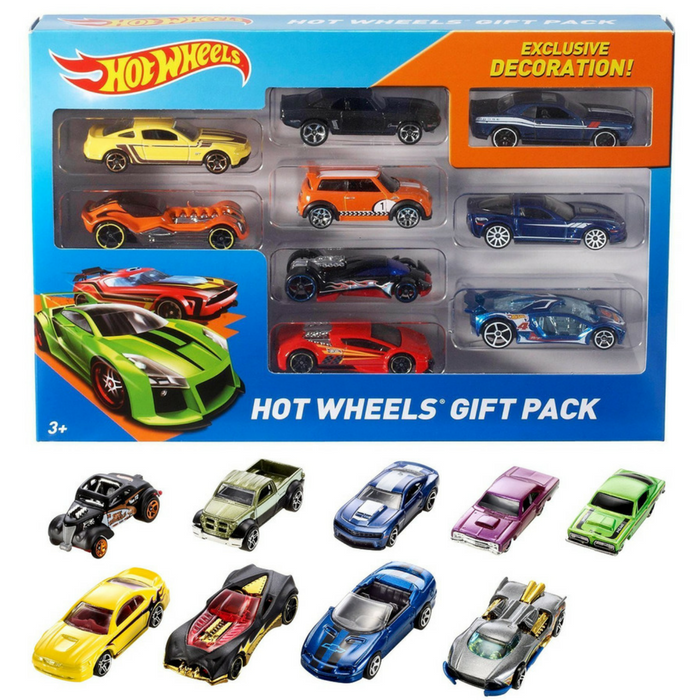 Hot Wheels 9-Car Gift Pack Just $9.47! You are here: Home / Great Deals / Amazon Deals / Hot Wheels 9-Car Gift Pack Just $9.47! Hot Wheels 9-Car Gift Pack is currently on sale at Amazon for just $9.47 down from $11.99 PLUS FREE shipping with Amazon Prime or for orders over $25! Speed into an instant Hot Wheels collection with race-ready packs that feature nine highly detailed die-cast vehicles. Hot Wheels 9-Car packs deliver nine times the amped up action and are perfect for car enthusiasts of all ages. With a cool unifying theme, authentic details and eye-catching decos, these packs make a great gift for kids and collectors alike. Each pack sold separately, subject to availability. Colors and decorations may vary.